Democrat to Deplorable: Let’s tell our story. Take our Democrat to Deplorable Survey HERE. 2016was the year I went from Democrat to Deplorable. I was once a proud Obama voter in 2008, and today I happily throw my support behind Donald Trump. The world had changed and I needed to find a new political home. Over the last eight years, Democrats lurched left leaving my moderate views now solidly on the right. Things which were once reasonable compromises were now seen as extreme right wing views. The Democrats and their leaders spun wildly left and I found myself alone in the political wilderness. I could no longer support the Democrats in general, and when Hillary Clinton was nominated, there was no hesitation. The D’s were out. If not Democrat, then what? I once thought of myself as a potential libertarian: give me social freedoms and limited government, please. The phrase, “Gays, guns, and drugs” was how I always summed it up. I don’t care who you marry, how many guns you have, or how much weed you want to smoke – as long as it doesn’t raise my taxes or increase the national debt I’m fine with it. But we know libertarian thinking in the US never got anywhere because they failed to understand some basics around civic services. Libertarianism is useful for theory but terrible in practice. It’s good to think about, but not effective for a large country like ours. So there I was. The Democrats had abandoned me with their identity politics, victim culture, and corruption. The Republicans were foreign to me. And let’s be honest- Libertarianism was a fantasy. Donald Trump, the Democrat in Republican’s clothing who supports gay rights, social freedoms, and the right to do business unobstructed by the government. Trump, who is unabashedly masculine, unafraid to violate the fascism of political correctness, and willing to take on the issues of the 21st century. Donald. J. Trump. Trump is ready to take on the real issues of the moment, while the Democrats and Republicans are both stuck fighting the wars of the old days, unaware the world had changed. The once feared “Race to the Bottom” of globalization has actually happened, and the leftists who ironically feared it in the 90’s were now oblivious that their predictions had come true. And the right who implemented it now defends it to the death. Both sides fighting to maintain a system which has clearly changed the face of America, in a way many American’s didn’t like. Most red Americans want something simple. Those outside of the blue urban enclaves want to put America first. They want to be able to speak truth about reality. They want to be left alone. They want a chance to succeed and they want to keep their jobs and money. These are simple concepts but all too rare among today’s political establishment. The novelty of these statements is what opened the door for Trump on his way to the White House. The Obama administration and the Democrats created a new environment in which normal beliefs are heretical. A man and woman are different you say? We all have different aptitudes? We should spend our money on Americans instead of aliens? We should lift ourselves up before we lift up others? You are nazis now, says the left. Racists. Bigots. Terrible vile people! It’s no wonder being conservative is the new rebellion. Truth seeking has always been the foundation for any counter culture. Today, being conservative is the new punk. As those in power ossify and lose track of the truth, it becomes the punk’s responsibility to drag us back to reality. And now that work falls on our shoulders. Democrats to Deplorables are the vanguard of cultural change. While Republicans who always vote Republican are now our allies, it is those who were forced to undergo a transformation who are feeling the razor’s edge of culture pass through them. As the cultural middle passes through your social circle, you quickly see who is on your side and who isn’t. For many of us, a new sense of isolation resulted. Ridiculed, shamed, ostracized. Our own friends and families have forgotten who we are because they are blinded by their rage. Their rage which is now a religion, one that can’t be shaken without a catastrophic event. Even Trump winning wasn’t enough to knock them out of it. Instead, they’ve doubled down on crazy and the shaming of Trump supporters that goes with it. As they recede deeper and become even more insular, we new Trump voters are permanently exiled from their group. Thankfully! Democrat to Deplorable: time to build. So here we are now. Democrats to Deplorables coalescing around ideas and hopes instead of fear and anger like those we left behind. We are making new relationships, new friendships, and new communities. We’re also making our own art and science and that’s what this article is about. I want to tell this story. The story of how hundreds of thousands, maybe millions of people, went Democrat to Deplorable as America transitioned. To document and share this I need your help. I need your data, your information, your STORY. This is your chance to have your truth heard, to have your reality acknowledged and confirmed. This is how we get our movement recorded for history and the future. Help me tell your story. Help me tell our story. Here is the link: Please take the survey now! If you have any comments afterward, please leave them below in the comment section. As always, thank you for all the support, RT’s, comments, and kind words. Welcome to your new home. Welcome to the team. 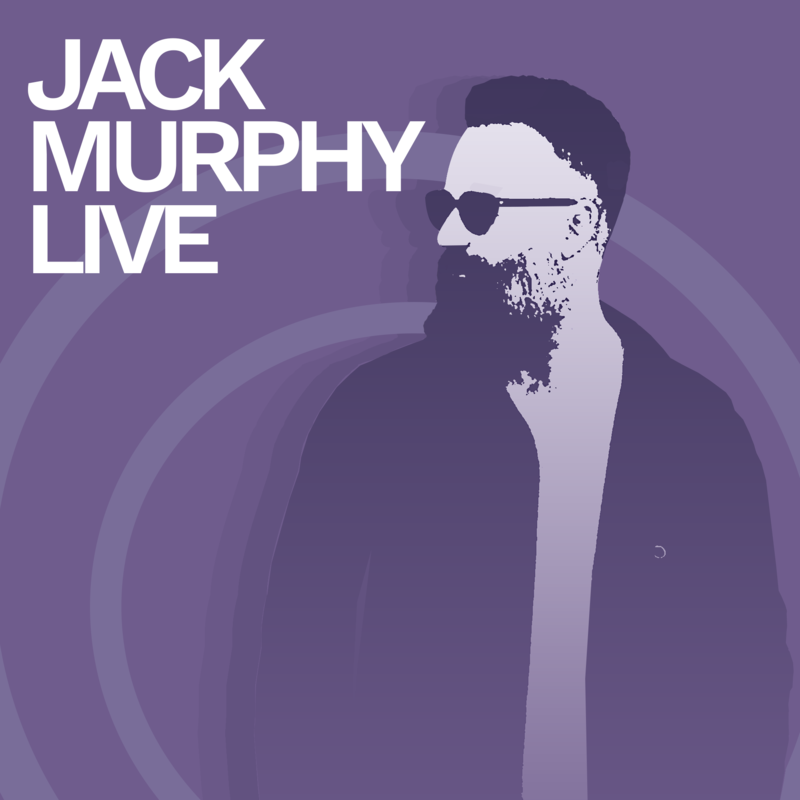 Welcome to Jack Murphy Live. Hey Jack, I find myself reading this article on a rainy Friday night in the UK while nodding my head in agreement to everything you write like a bobblehead figurine on crack. I’m not an American, I’m British. But I’ve loved the US as if it were my own homeland for the last 40 years of my life. I’ve travelled to/ worked in the US for most of my working life too, so I understand the culture and in some ways (as I get to move to and fro from the US often) I have a perspective that gives me a little more understanding of the concept known as the US, especially in comparison to those who permanently live there. I say “concept” because isn’t that really what the US is? Is yours not a land of dreams and opportunity? The US is a BEACON for dreamers and dreams, and it’s a land built on them. However I’ve noticed lately that the dream has become a nightmare. And like an unattended garden, the weeds have begun to overrun and damage the once plush surroundings. While people troll the net for memes by which to mock your president and his office, the country they live in, decays. All the “Lol’s” and “LMFAO’s” won’t contribute toward the restoration of the US. What is needed — what is required — is for the good people of the US to invest in their leadership, rather than mock it. Like you, I was once of the Libertarian mindset. And I certainly smiled at reading the phrase “Gays, guns, and drugs” in your article. Been a while since I’ve heard that, even longer since I’ve admitted to being an advocate of it. The Libertarian theory is a beautiful one, but it works as well as the having Jack Black as your PT — sure it’d be fun, but you’d probably end up in just as bad (maybe worse) shape than you started. What the US needs is leadership. And I feel like it has that now. But I also feel that that leadership needs to be supported, as opposed to vilified — like the US media is currently doing. So perhaps I’m also deplorable. But you know what, it sure beats being the alternative! Can America be great again? I believe so. Thank you for writing this piece man. Thanks for your unique perspective. Hope the rain isn’t too bad in London. The United States is indeed a concept. The country was born out of ideas and created out of nothing. Much different than naturally evolving people occupying the same land for 1000’s of years. People seem to forget that these days. I appreciate your comments as always, thanks brother! Trump is a more complex phenomenon than people realize. I think many do not understand why any even intelligent people would vote for him. I think truly intelligent people are able to separate different strands of reality and consider higher-order issues. For example, I don’t speak like Trump (and never will or could), I don’t like any of his dietary choices, I think working out is essential (he doesn’t), I’m not a self-promoter, etc. It’s easy to get bogged down in these trivialities. Trump may represent a political immune response to the disease that has enervated the US, and so I am perfectly content to have him rampage around and shake things up in an unconventional fashion. But even Trump cannot upend conventional thinking or operations, because of our divided powers form of government (this is a good thing overall I believe). Ultimately, the most important thing to come out of the whole Trump phenomenon is the deligitimization of mainstream media.